In the past several months, I admired the long, soft and smooth straight locks of others because I had my long hair cut. 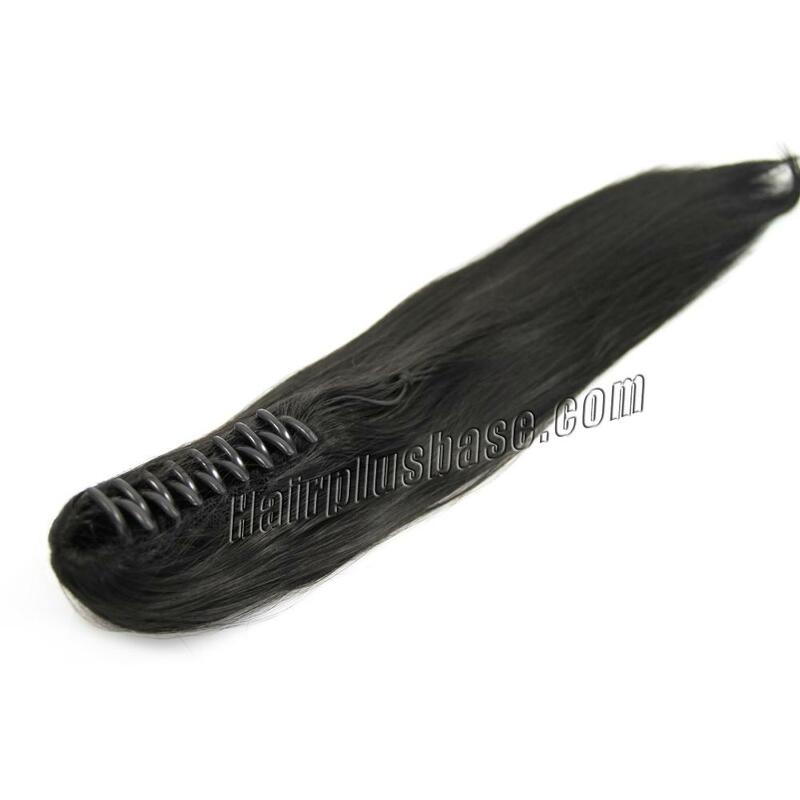 I knew that clip in hair extensions could add length and volume to my hair, but I thought it took me much time to take care of it and I did not want to add too much burden to my natural hair. Therefore, one of my friends introduced this on-line shop – Hairplusbase- to me. She recently bought a piece of ponytail extensions from that shop and liked the ponytail a lot. I saw how she look with the ponytail and then I made my decision to buy one too. Fantastically!! The ponytail extensions did not let me down. It was so easy to appliy. I held up my own short ponytail, and a stunning ponytail appeared after I clipped the extensions to the existing one. The hair was soft, lustrous and smooth. The quality was so satisfying. It is said that the extensions were made of real human hair, which was what I agree too. I had kept the extensions for about one month. So far, everything has gone well with the extensions. I will be the repeat customer of Hairplusbase.